Lovely farms with views of the ocean & mountains. Forest boundary restricitons apply. Eastern Puerto Rico land value is higher than Western Puerto Rico, generally. Large acreage, like the photo above, can range around $20,000. an acre to as little as $8,000. per acre. 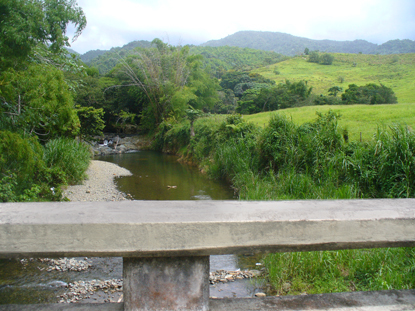 Land close to the rainforest Reserve can not be divided into less than 25 acres, unless it has previously been registered as such. Mountain top in background is Pico del Este ..5 different small farms for sale by owner, some with amazing views, all very private and above. 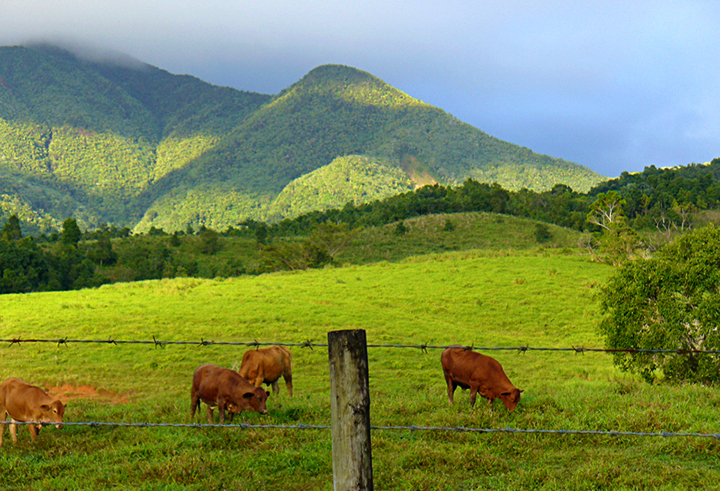 Eastern foothills of the El Yunque rainforest. Farms that are 1,000 feet above sea level are going to be a bit cooler than the lowlands. Contact Elena for more information or if you want to see the property. Please state what you are looking for when you email.